You are currently browsing the Weatherstone Homes blog archives for April, 2018. This great exterior is only the beginning…. 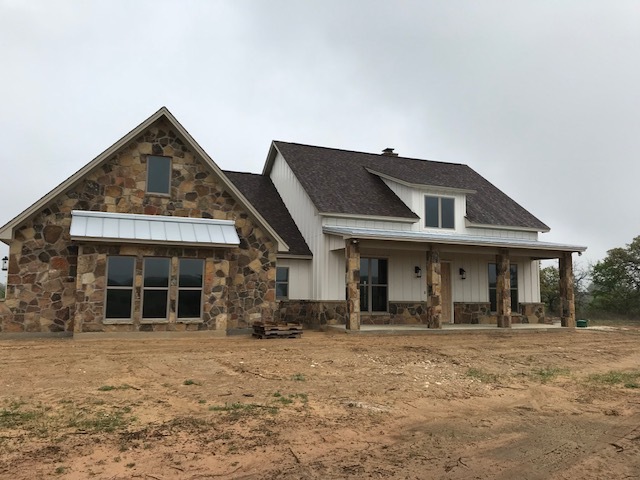 We are getting close to finishing this beautiful home in Santo. A combination of board and batt along with local stone really makes this elevation pop. Check back soon for interior photos. If you are thinking of building a new home in Parker county, we would love to show you the Weatherstone difference! Call us today at 817-341-2582, and find out how we can bring your dream home to life.